Antti Niemi is sticking around as the Habs have dealt Al Montoya to Edmonton for a conditional 2018 4th rounder. Considering how many starts Price gets, this isn’t a huge deal, but Niemi isn’t exactly reliable either. could this mean much for Lindgren moving forward? The condition on the pick is Habs get a 4th if Montoya plays 7 more games this season. If he doesn't it becomes a 5th. Niemi can backup this garbage season. Lindgren can backup next year. Wait, he wasn’t traded for RNH? Bergevin. I’m fine with it as well. Honestly, probably not. Lindgren doesn't seem like the type to believe he's a backup goalie, and could be looking for a more favourable goaltending situation for himself as soon as possible. If Lindgren takes the team to arbitration this summer he can get a 1 year deal and be a UFA at the end of next season. So we're probably looking at Lindgren being backup for 1 season (and a few more games this season), and in all likelihood he's a trade candidate by the draft. No one is giving Lindgren starter money based on what he has done so far. He is going to need to have a hell of a season next year to earn that. As good as he's been, has he proved more than Aaron Dell, Phillip Grubauer, or a number of other backups around the NHL? Didn't say anything about starter money, just starter opportunity. He won't have it in Montreal. He has a better chance of it in Philly for example. The only way he gets to UFA status after next season is if he has less than 28 NHL games at that time to get him to Group 6. He's already at 11 and should easily get 17 more between now and then. That would lock him in as an RFA for two more years. Edmonton has 4 8 more back-to-back games this season, and relief appearances do count against the total games played. Edmonton has 4 more back-to-back games this season, and relief appearances do count against the total games played. Part of the reason Talbot played so much last year was that Jonas Gustavsson couldn't stop anything. If Montoya plays even relatively well, I suspect they'll try to give Talbot a bit more of a rest. I'm an idiot. They have 8 more back-to-backs. Montoya literally has to just stay healthy and play well for at least 2 periods in all of his starts. Happy with the pick. Backup this year appears to be irrelevant and Niemi probably would’ve cleared waivers. Since Niemi was on waivers, we couldn't trade him without first offering him to any other teams that may have claimed him, and to Florida who we claimed him from.... Seeing as Luongo is out longterm, they may have taken him back. So we traded the guy we could trade. I don't think they would have had to have offered him back to Florida via waivers. Pittsburgh traded Condon without making him available to the Habs a couple of years ago. But yes, had other teams claimed him (which isn't a guarantee by any stretch), the Habs would have had to waive him before they could trade him. Do we know that Pittsburgh didn't offer him back to the Habs? Its not like the Habs could have kept him on the roster, knowing that Montoya had already won the backup job at that point. In this case Florida has the roster room as they are in the same position as when he was initially claimed (luongo hurt). 13.20 (b) A Player who has been acquired by Waiver claim shall not be Traded to another Club until the termination of Playoffs of the season in which he was acquired unless he is first offered on the same terms to the Club(s) that entered a claim when Waivers were requested originally and the offer has been refused. My interpretation of the underlined is that the claiming team would have to re-waive the player to satisfy the obligation to offer the player to the other claiming teams on the same terms since they can't trade for the equivalent cash of the waiver price. I don't believe that applies to the original team though based on that. 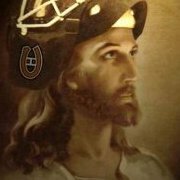 So based on that, the Habs wouldn't have had to offer Niemi back to Florida first if they wanted to trade him (and would only have had to re-waive had another team placed a claim), similar to Pittsburgh not having to offer Condon back to Montreal since we know they were the only team that claimed him (by virtue of winning the Cup the year before - they were last in priority). That all said, I prefer them trading Montoya just to get out of the second year of his contract - it was the right call to make regardless of if there were any trade restrictions with Niemi. Niemi has exceeded expectations since being acquired and has shown he can give them a reasonable performance most nights which is all they were hoping for from Montoya anyway. They didn't waste any time giving Montoya the first of those appearances. Talbot got yanked less than five minutes into the 2nd this afternoon so Montoya wound up with 35:15 in playing time in relief. This whole season has been a series of, "I've made a huge mistake" moments.